Our vision is to build a “virtual grassroots network” via the internet between Ugandan and US women for on-going discussion and learning exchange that will help us to actively pursue common concerns for joint advocacy and grassroots democracy. Uganda is a signatory to most International Human Rights and Women’s rights conventions including the Convention on the Elimination of all forms of Violence Against Women – CEDAW. Uganda is also said to have the most gender sensitive Constitution the world over. Uganda also has a Ministry of Gender with a Gender Mainstreaming Strategy and National Plan for the Empowerment of Women, among other interventions. These reforms however have not translated into the increased participation of Women in Governance. A number of civil society organisations have responded to the issue of the lack of women’s participation in Governance by organising campaigns for the recognition of women rights but with little success. The lack of success has mainly been attributed to resistance from many religious groups and some culture proponents. The various religious groups and culture proponents have argued that the move to recognise some of the articulated women’s human rights violates religious and cultural norms. Some have even argued that the elite woman activist has exaggerated the plight of the rural woman and sowed discontent to an otherwise happy rural women’s fraternity. 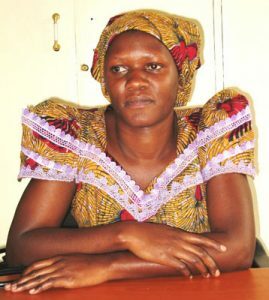 The Domestic Relations Bill DRB is one campaign that has suffered as a result of its unfavourable link to the Ugandan culture, religious concerns and the rural woman question. The Land Grant Project aims to increase women’s participation in governance at all levels until full participation. The project will build consensus among cultural leaders and rural women survivors of Domestic Violence for the documentation and improvement of customary Law regarding rights and obligations of parties during marriage and access to property. The documented customary Law will be used as a lobby tool for the immediate enactment of the Domestic Relations Bill DRB. A standard below which the DRB cannot fall. About 50 homeless survivors of Domestic Violence DV in each of five regions will receive one acre of Land each where they can settle, take care of their families and participate in community activities. The survivors of domestic violence will start by participating in the campaign for the DRB and specifically women’s increased access to property through documentation of customary Law and Networking with other women at the Global Level for resources and support of Uganda women. 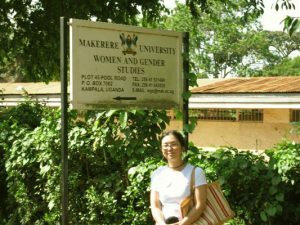 As a Member of the Board of Directors of the Women’s Intercultural Network (WIN), a partner of the Global Women’s Leadership Center (GWLC), Santa Clara University, Lydia Bakaki and Hon. 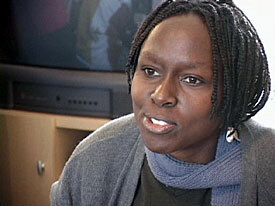 Annette Mukabera attended the Leadership Training at GWLC in July 2005. Participants were asked to develop a project for implementation during a six months mentoring period after the classroom training. 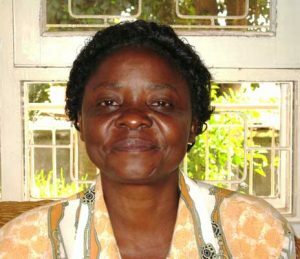 Lydia and Annette submitted the Land Grant Project aimed at purchasing Land for 50 women survivors of Domestic Violence in each of five regions in Uganda. To Document and review customary Law regarding rights and obligations during marriage and access to property for the enactment and dissemination of a quality Domestic Relations Bill. 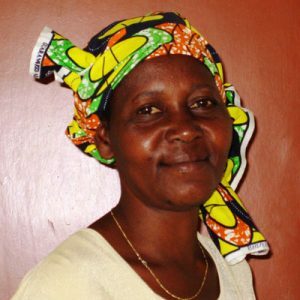 Full participation of Ugandan women in governance translates into improved public accountability at the family, at the community and at the Local governance level. It is a known fact that Public accountability leads to increased quantity and improved quality of public services enjoyed by the ultimate person. This in turn translates into poverty reduction. This project will vastly contribute to poverty eradication. The campaign for the DRB dates back as far as the early sixties when government commissioned the famous Kalema report which was commissioned to inform policy on the rights and duties during Marriage, property rights and succession. Since then women’s groups have relentlessly campaigned for the Domestic Relations Bill but with little success. In June 2005 the DRB 2003 went up to the second reading in Parliament but has since been thrown out. The reasons for the setback include pressure from cultural Institutions and religious groups. The groups argue that some of the suggested provisions in the Bill are offensive to cultural and religious norms and practices. The Land Grant project will augment the DRB campaign by mobilising the grassroots leaders at the family, community and clan level to document culture and demand for the urgent enactment for a progressive DRB before presidential elections in March 2006. This project aims at increasing the property of women owned property in Uganda from less than 1% to 51%. 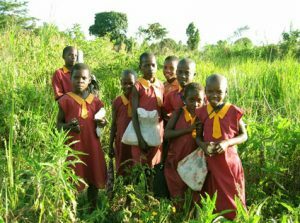 On 22nd October, 2005, fifty women survivors of domestic violence living in the Central region of Uganda received one acre of farmland each. The ceremony took place at Bulange Mengo, the cultural seat of the people of Buganda. This land will enable the women and their children to own a home and a livelihood, after many years of moving between relatives and friends, sleeping on the street with nothing to eat or cover their bodies with. (The names have been removed for web reports to protect the women). These first beneficiaries could not believe that a person could give another Land. 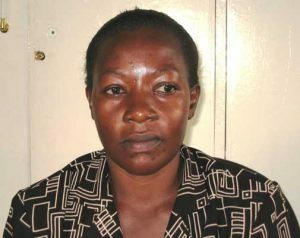 One woman, 52, who was sent off 30 acres of land by her uncle at the death of her father, kept saying “you women, you women, you…” and she broke into tears thanking whoever contributed to the purchase of her land. Everyone cried with joy. The activists were moved by the testimonies of the women receiving the land and everyone agreed that at the heart of the women’s suffering was the failure of the Ugandan Parliament to pass the Domestic Relations Bill (DRB). When the DRB finally passes, which Human Rights organizations have been campaigning for since the early 60s, it will guarantee women access to matrimonial property and girls to family property. Although the DRB does not provide for inheritance or co-ownership of matrimonial property, it guarantees the use of matrimonial and family land until death. It is through purchase that women can be assured of complete ownership of land. We are now raising funds for 50 more women who have been widowed, thrown out of their homes with HIV/AIDS or living in war and conflict areas in the Northern region, near Gulu. 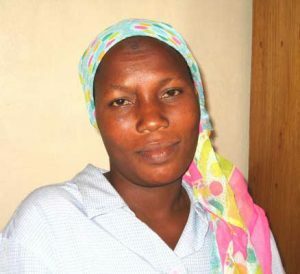 The second phase of the Central region will mobilize NGOs serving women survivors of violence and HIV/AIDS into an integrated delivery system that will include training the women for advocacy and economic self-sufficiency in professions such as teaching, nursing, midwifery and administration. 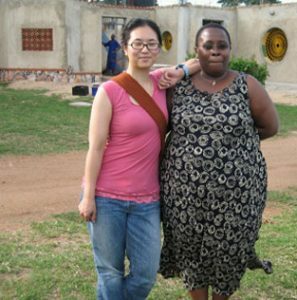 Thanks to Women’s Intercultural Network (WIN) for making this life-changing opportunity possible for women in Bulange Mengo, We thank the many women of the California Women’s Agenda (CAWA) for hosting and supporting us since 2001 and those generous women who donated to the land. Thank you all from the bottom of our hearts. implementation of development programmes. ” . 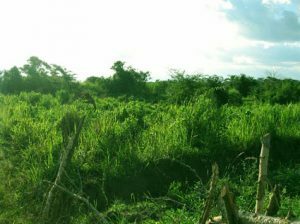 In Uganda, land is the principal source of economic security for the rural population which consists of 85% of the total population. Uganda is a case of land policy based on registration of customary rights operating alongside a strong constitutional commitment to gender equality that has not yet been realized in practice. In general, women’s rights to land in sub-Saharan Africa—including Uganda—are secondary rights, derived from their membership in households through marriage and their participation in the community through their labor contribution. 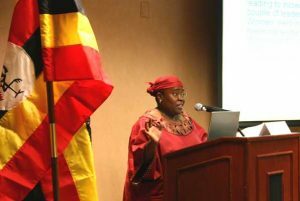 In the current context of social change, many such rights have become increasingly vulnerable to forfeiture or erosion, making women’s access to land significantly more precarious as the protections traditionally ensured by the clan system in Uganda has weakened; contemporary customary law in the present day has been used discriminately and selectively to preserve practices that subordinate women’s land tenure rights. 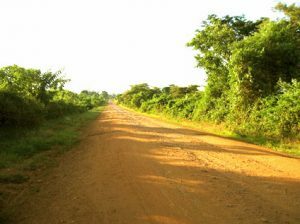 In the arena of constitutional rights, the landmark Ugandan Land Act of 1998 has provided land tenure security to users and occupants of land recognizing customary tenure systems on par with that of private freehold and leasehold, but members of the legislature were not able to push through a clause that would have provided for automatic co-ownership of land between spouses, an omission that severely limits women’s access to land in light of the already secondary nature of this right and the discriminate use of customary law against women. 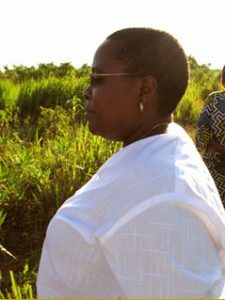 Currently, women’s land tenure reform in Uganda is urgently needed in order to enhance women’s agricultural productivity as a basis for economic growth, development, and poverty eradication, to support the food security and multiple livelihoods strategies of rural Ugandan women, and finally, to strengthen Ugandan women’s ability to fight for further fulfillment of their human social and economic rights. 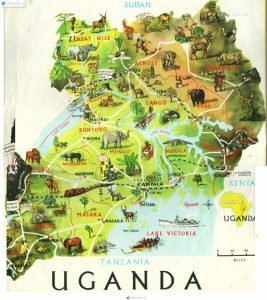 We hope that WIN’s Uganda Land Project is one step in this direction. “When I go back to the land I will forget the past and I’ll finally have piece of mind. My life will be in always be in danger [because of my husband] but I’ll let that be and start a new life on my land. I’ll be very happy to move to Kayunga. I’ll have a peace of mind. I want to grow flowers on the land–roses because they are selling at a high price. Gardens of flowers. Flowers grow fast. Earning money from flowers is good. Flowers are not yet a very competitive market. I can cultivate, I have done it before.